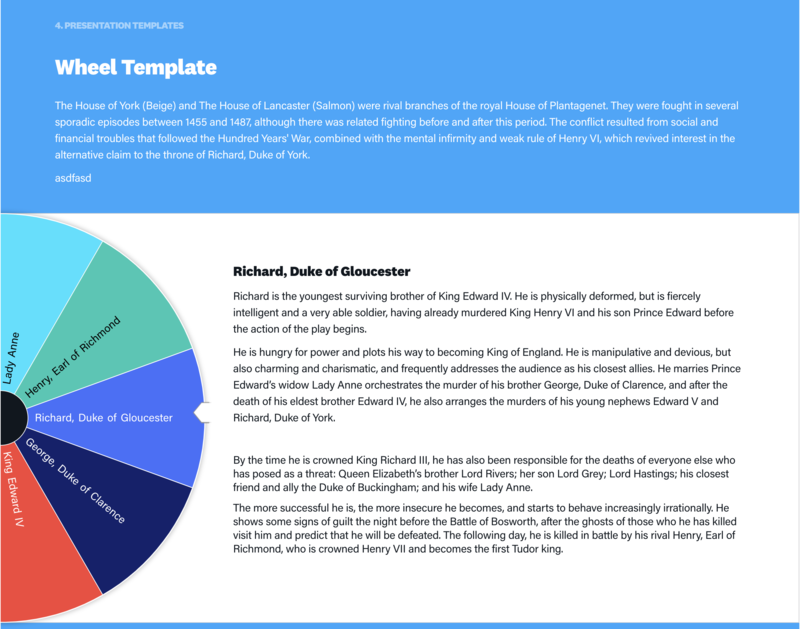 Many of you will be pleased to know that we’ve just released an update to the wheel template that reduces some limitations and gives it a more modern look and feel. In the past we’ve had many users lament over the fact that you could only use relatively short headings so that they’d fit properly into the wheel slices. 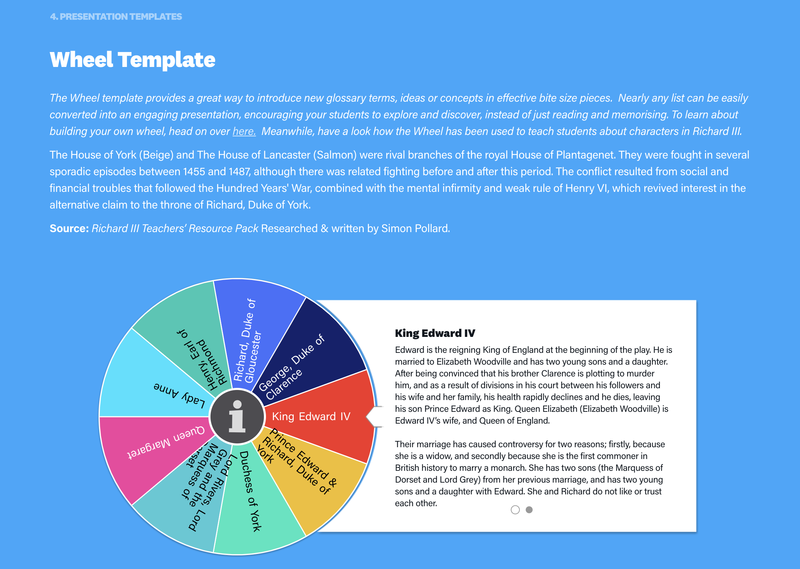 To solve this, we’ve increased the size of the wheel by 50% and nearly doubled the area for text descriptions. In addition, we’ve removed the need for the pagination feature by allowing longer content to scroll within the description area. If you had used pagination in the past, the additional ‘pages’ will simply be combined into a single page. The only downside about the new design is that we've had to remove the centre icon feature as it was no longer entirely visible. We hope that everyone agrees that this was a small price to pay for the new and improved design.